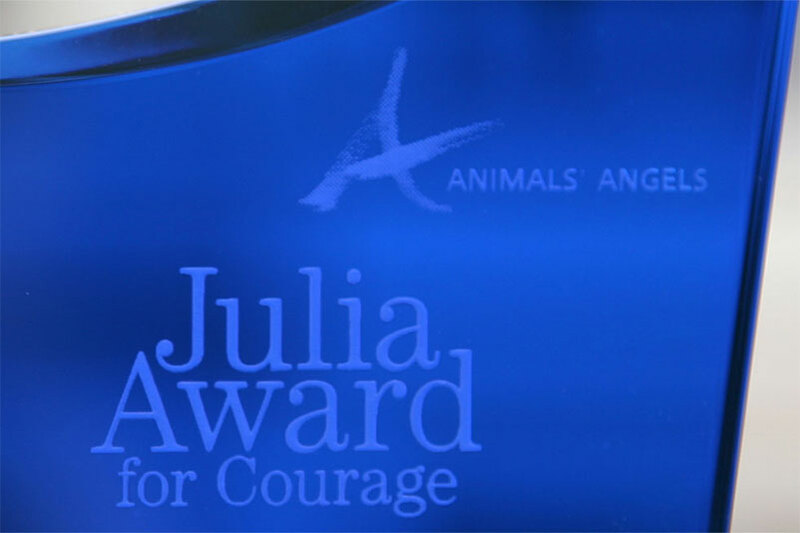 With its Julia Award, Animals' Angels honours every year people who are particularly courageous in their work for animal welfare. Because extraordinary courage deserves extraordinary recognition. 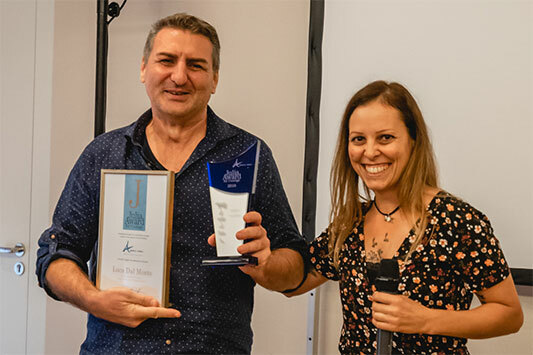 2018, the award was given to policeman Luca Dal Monte from Italy. For many years now, he has been a tireless champion of the animals on transport. Thanks to his commitment, Italy has one of the most motivated police forces in Europe for controlling animal transports. 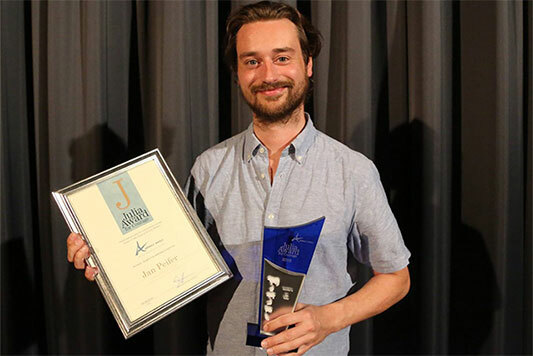 Dr. Alexander Rabitsch received the Julia Award 2017. Because he shows courage: whether in his former office as animal transport inspector in Carinthia, when dealing with the EU Commission, or in his assignments with Animals' Angels. 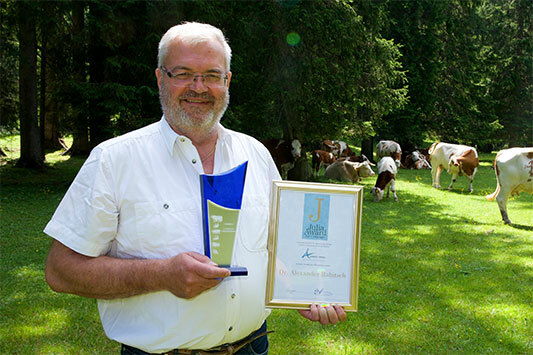 In 2016, we awarded the Julia Award to Jan Peifer from Deutsches Tierschutzbüro, who we would like to honour for his courageous research in 'intense livestock farming' and his commitment the animals. 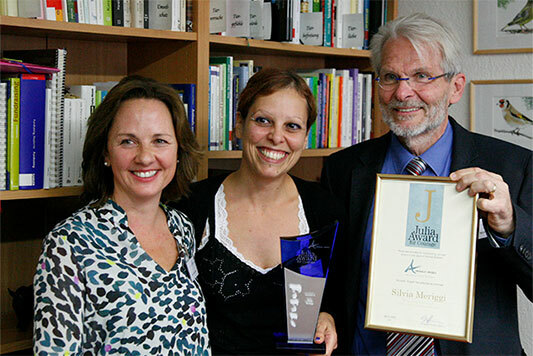 This year's Julia Award winner is Animals' Angels employee Silvia Meriggi. 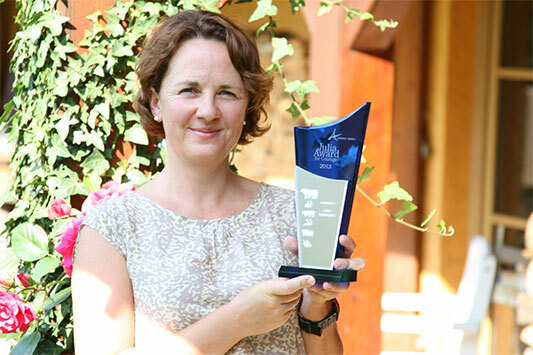 For years now, she has been working tirelessly and with great expertise for the animals. 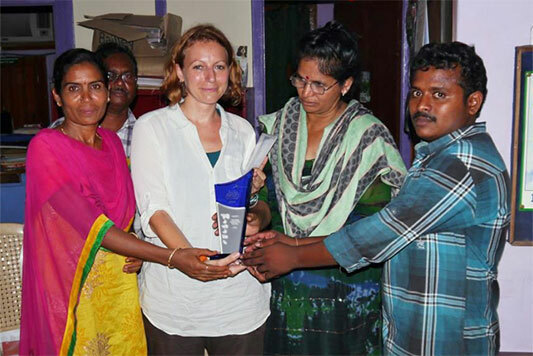 The Julia Award 2014 was awarded to the CRPI Field Team from India: Krishnaveni and Sridevi. With courage and determination both women face the challenges of their work every day and despite insults and hostilities they stand up for the animals. Name-giver and first prize winner of the award. Julia has been working for Animals' Angels since 2003 and during this time she has also shown extraordinary courage in dangerous situations for the animals.